When undertaking a construction project, it is critical that all contractors collaborate in an effective manner at all levels. 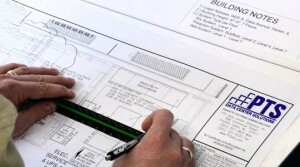 PTS provides pre-construction services to assist developers, owners, architects, engineers, and general contractors from the conceptual stages through the design process, and finally through the completion of the project. PTS will provide cost analysis during the design process, and will perform feasibility studies, and identify any potential roadblocks. Design Build/Design Assist, GMP, & Fixed Price – We provide any delivery method that accommodates each and every project. Budgets/Estimates – Conceptual construction estimates and details allow owners to prepare project budgets and make timely decisions. “Value” Engineering/Cost Saving Methods – We provide savings opportunities, proven alternatives, and examine enhancements which may offer the most cost-saving benefits – preventing them from becoming post-construction burdens. Feasibility Studies – With early involvement, the construction team will be able to identify and resolve issues before they become expensive change orders. Manufacturer Relationships – PTS has established long-standing solid working partnerships with many of the most reputable electrical equipment manufacturers. Coordination – PTS will provide documents as required for each project during to determine issues with other trades. Our skilled team will deliver electrical projects from concept through completion, while maintaining budget and scheduling needs. Utilizing the foremost leader in estimating technology, we are confident that we can deliver the most accurate, detailed cost models available.